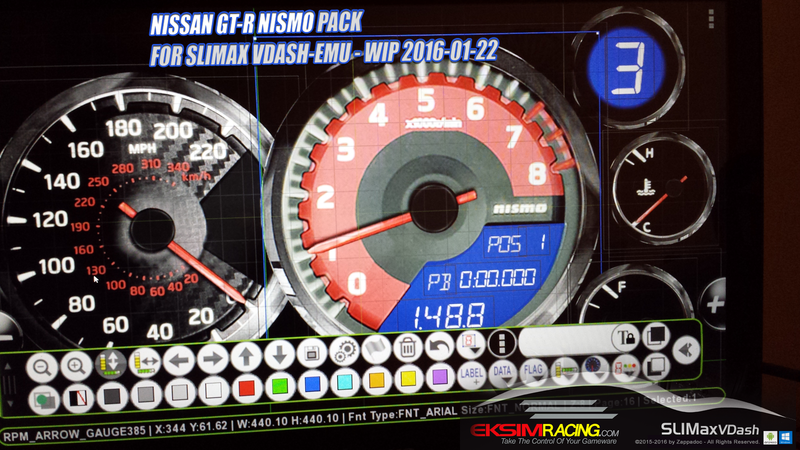 VDASH-EMU Updated and NEW Nissan Nismo GT-R Texture Pack available! 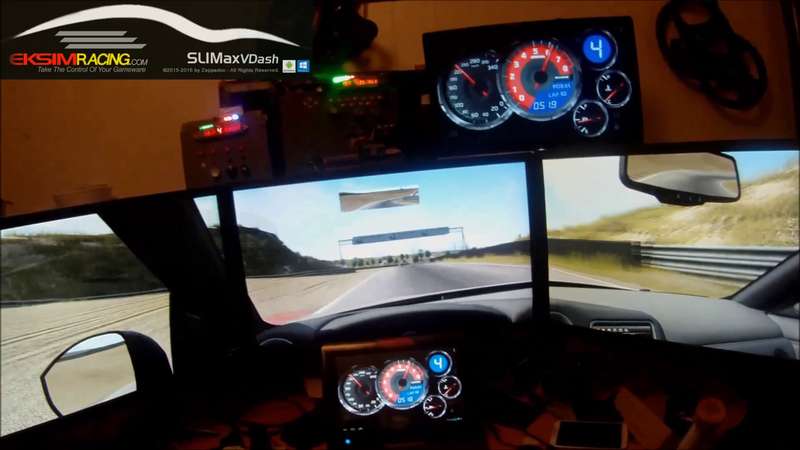 SLIMax Virtual Dash Emulator ( VDASH-EMU ) is a HIGH QUALITY hardware display emulator for your Android tablet or phone. It contains already the emulation of 4 displays ready to use + 16 other pages entirely customizable with the integrated editor and a DSD Like Button-Box with 32 buttons/encoders and 3 rotary switches. Enjoy this new emulator with more than 60 games/simulations and fully managed by SLIMax Manager Pro 3.4.4.1 or greater. FREE of charge to all EMU owners, as soon as you have a EMU license and own a tablet/phone with Android v2.2.3 or greater, you can download right now the app and use the SLIMax Virtual Dash EMU for FREE. The emulators works on smartphone or tablet using Android OS (minimum 1GHz with a 960 x 540 or greater resolution is recommended). The app is an emulator (not a toy) of the real USB Device and enough powerful to display exactly the same information with NO LAG! 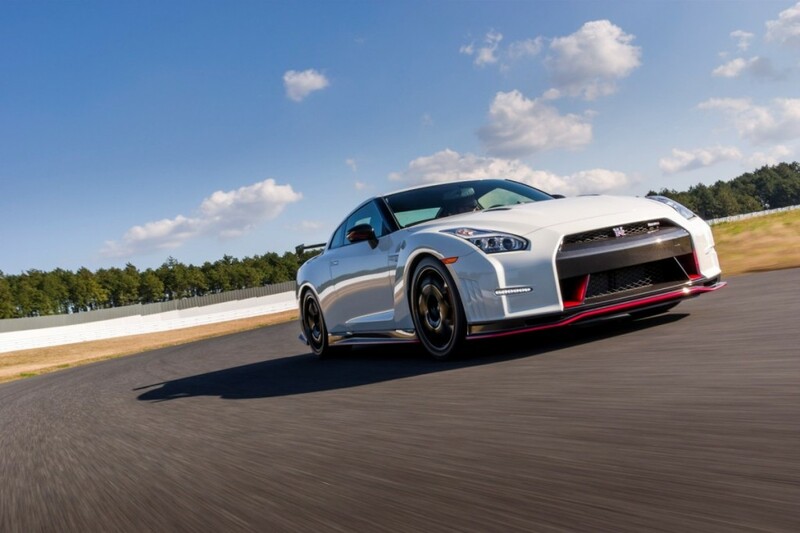 it’s powered by SLIMax Manager Pro which manages the simulation and games. For Windows available for download (need to be fully registered as GOLD or PRO to access this area). 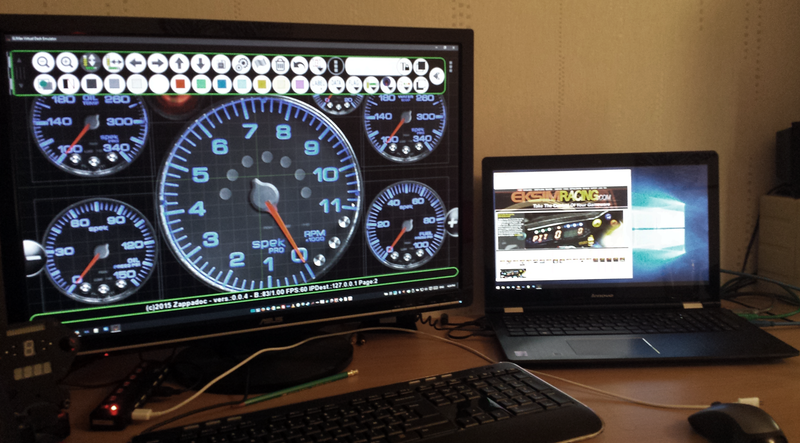 The app is almost ready to reach the beta-test and will be available very very soon to all GOLD/PRO Subscribers on EKSIMRacing support forum. A special thanks to early testers (Pttmic and Rinus) for their helps. 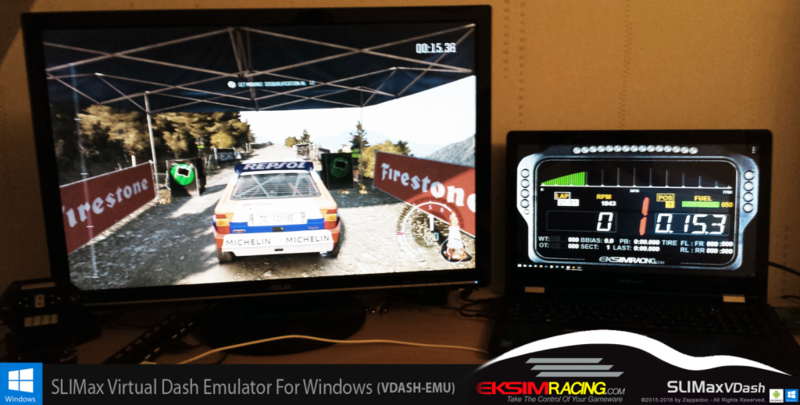 VDASH-EMU templates (your custom displays) are obviously usable with Windows and Android versions. 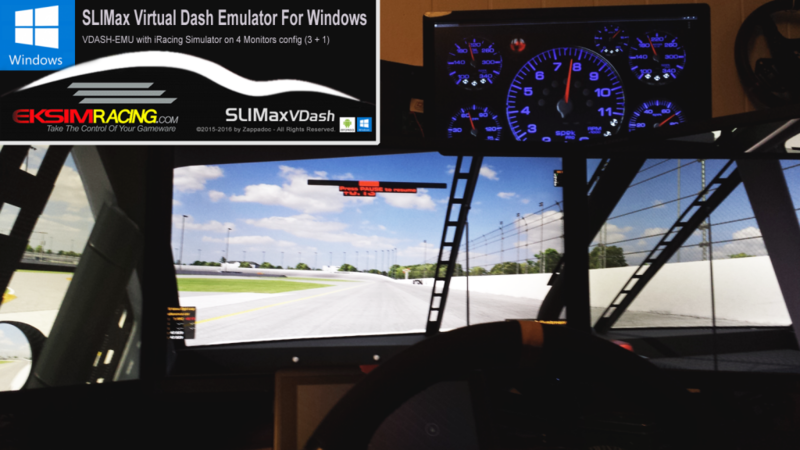 Fully compatible, fully customizable, absolutely NO LAG and powered by SLIMax Manager Pro to work with more than 60 simulations or games like iRacing, rFactor2, Project CARS, Assetto Corsa, All Reiza Studio Titles, Sector3 RaceRoom Racing Experience, Codemasters F1 or DiRT Rally games, Euro Truck Sim 2, and many others! Lancia Delta HF Turbo Texture Pack for VDASH-EMU is OUT! SLIMax VDASH-EMU 1.03 is OUT! 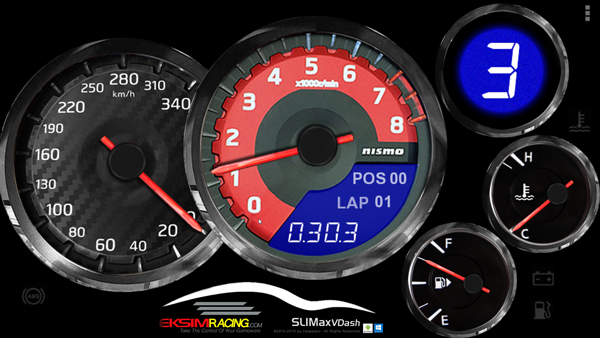 A new version of the SLIMax Virtual Dash Emulator (VDASH-EMU) is available for download on EKSIMRacing website with a powerful Arrow Gauge object addition to let you create easily tach, speedometer, temp/fuel/volt/turbo analog gauge. 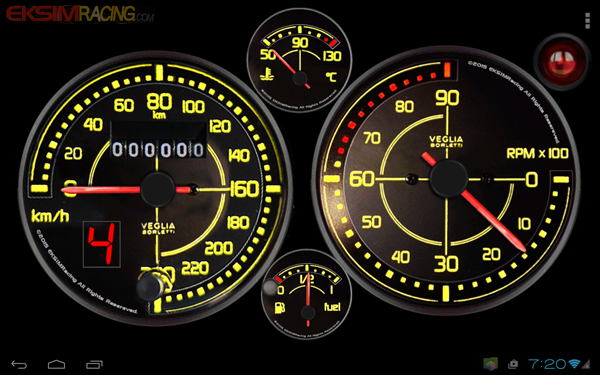 Also, a new Lancia Delta HF Turbo Texture Pack is available to GOLD and PRO members on support forum to “play” with the new arrow gauge object.